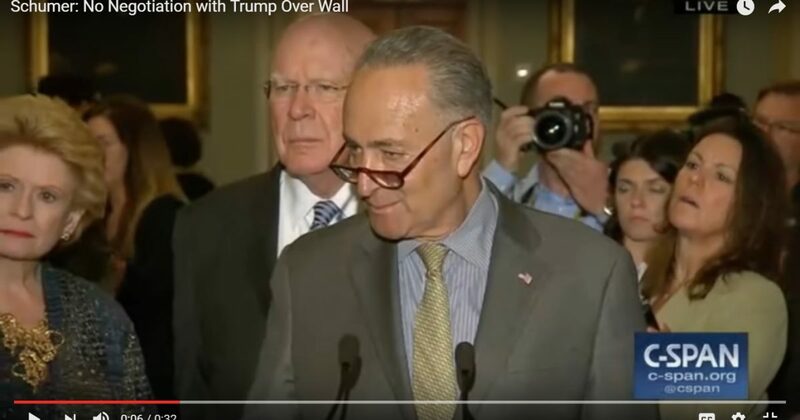 Acting all the badass, Creepy Chuck Schumer strolled up to the microphone to declare that there will be no negotiating with President Trump on the border wall. “It’s not a negotiation. No wall!” boasted Creepy Chucky. What I am trying to figure out is what possible negotiation could Schumer be talking about. Funding? No, that comes from the House, not the Senate. Approval to build the wall? No, President Trump can build the wall by executive order. He doesn’t need Congress. Nice try, Creepy Chucky. No matter how long you practice in the mirror being a real badass, you will always come off like a total wimp.